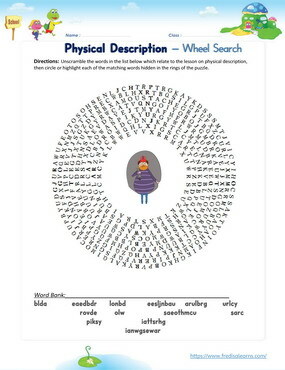 This lesson teaches English learners how to ask and provide physical descriptions of people and things. 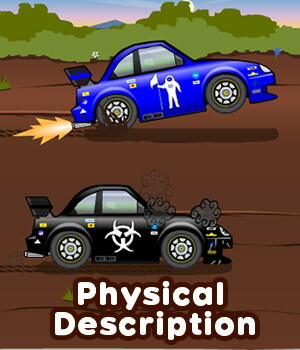 ESL kids will learn new adjectives to describe appearance. 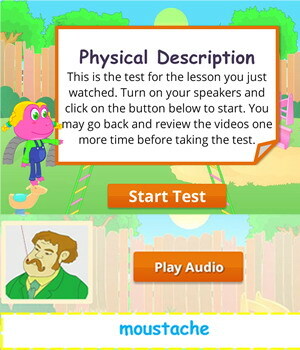 The lesson teaches the use of the preposition ‘like’ to ask for description. The grammatical focus of the lesson is on the past progressive tense. The worksheets below are useful for offline and classroom activities. 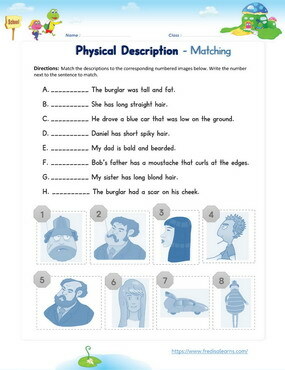 These printable exercises directly correlate with the above lesson 'Physical Description'. Every worksheet comes with an answer sheet on the second page for educators. Freddie and Lisa are at home when they hear banging at Bob’s house. The children look through the window to find a burglar loading Bob and Sally’s things into a blue car. They call the police who do not arrive in time. An officer later asks Freddie and Lisa for description of the burglar. Thanks to their description, the police are able to catch the thief and recover the stolen items. He was tall and fat. What was his hair like? How did he drive his car? 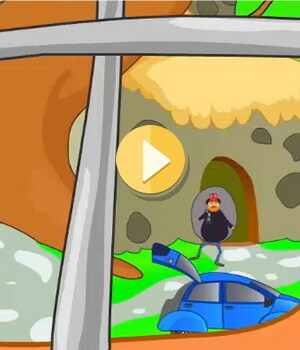 He drove his car very fast. He was driving a blue car.